Sta-Flo Liquid Starch is a concentrated product that helps make ironing easier and adds body or firmness to fabrics. It is environmentally friendly and can be mixed with water to the level of crispness or stiffening you desire for fabrics and crafting. An environmentally-friendly product, no aerosol cans. Can be mixed with water to the level of stiffness you desire. Available in most mass-market laundry aisles. The packaging does not contain post-consumer recycled plastic. Only available in a one-gallon container. Sta-Flo liquid laundry starch is a long-time laundry product used to provide body and stiffness to natural fibers after washing. Sta-Flo is offered in a one-gallon or 64-ounce bottle in a concentrated form. It should be mixed with water and can then be used in a spray bottle. This offers a more environmentally-friendly product than starches and sizing in aerosol cans and cost per use is less expensive. Laundry starch is made from rice, corn or wheat. The use of starch adds body to natural fiber fabrics, makes stain removal easier, creates soil resistance, and helps an iron glide over the fabric more smoothly. As a natural product, starch works best on 100 percent cotton and cotton blends, linen, and bamboo fabrics. I found that Sta-Flo Liquid Starch works just as I remembered from years past when I did a bit more starching and ironing. If you like the look of a crisp, professionally ironed shirt from the laundry and want to match that at home, starch is essential. With liquid starch, you can control the finished stiffness of the ironed fabric by how you mix the product with water. For a very crisp finish, mix equal parts water and Sta-Flo Liquid Starch. For just a bit of body and a smoother surface for ironing, mix two parts water to one part starch. The best way to evenly distribute the starch on the fabric is to mix the solution in a spray bottle. When mixed with water, the starch solution is suitable to use for several weeks, however, the water and starch will separate. Just give the bottle a shake before spraying. Sta-Flo Liquid Starch does contain fragrance and dye that may be unsuitable for those with allergies. In addition to its usefulness as an ironing aid for clothes, Sta-Flo Liquid Starch can be used to create kid's crafts like paint or paper mache paste. One of my favorite ways to use Sta-Flo Liquid Starch is to shape and stiffen crocheted crafts. The handiwork will hold its shape as long as it stays dry. If you are want to iron like an expert, you should have starch on your laundry room shelf and Sta-Flo Liquid Starch is an excellent choice. Sta-Flo Starch is a decades-old product that was first offered on the market by the A.E. Staley Company (later Staley Continental) based in Decatur, Illinois. The Staley company processed corn to produce cornstarch as a food product. Sta-Flo Starch was a natural product fit since the original formula was not much more than corn starch and water. The Staley Company later sold their laundry products, Sta-Flo Starch and Sta-Puf Fabric Softener, to Henkel. As an interesting aside, A.E. Staley founded a company semi-pro football team, the Decatur Staleys, composed of players that worked in his factory in 1919. In 1920, the team became a charter member of what became the National Football League and in 1921, Staley turned the team over to George Halas. Halas moved the team to Chicago and changed the team name to the Chicago Bears. The team's mascot since 2003 is Staley Da Bear. 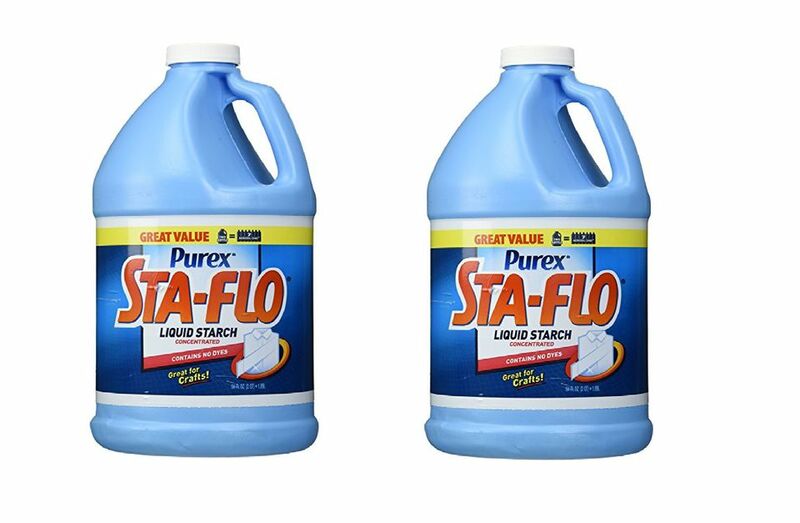 Sta-Flo Liquid Starch is now manufactured by Henkel and sold under the Purex brand label. Henkel is an international company that produces adhesives, cleaning products, and personal care products around the world. Many familiar United States brands are products of Henkel: Loctite, Soft Scrub, Dial Soap, Right Guard, and Soft 'n Dri. Henkel offers a full line of laundry products in the U.S. and Canada including Persil Laundry Detergents, Purex laundry products, Zout, 20 Mule Team Borax, all Laundry Detergents, and Snuggle Fabric Softener and Scents. The products are manufactured by Dial Corporation of Henkel North America based in Scottsdale, Arizona. Everything You Need To Know About Gain Flings!